If you’ve been on Facebook more than a year, then you are familiar with the “Memories” feature it has, where you are shown your posts from the same date in previous years. Recently, Facebook showed me an article I posted in 2009 about progress in autism treatments and therapies, and at the time I commented on how helpful it was to read. Cheeks had been diagnosed just a few weeks prior to me posting that article, and I remember how reassuring it was to me about what his future could hold. Read the original article here. When I reread the article now, I don’t find it encouraging. I find it harmfully misleading. I can see why it gave me so much hope, but that hope was misguided. The article discusses one family’s story with their diagnosis and treatment using applied behavior analysis, or ABA. ABA is the primary treatment method of choice for most autism cases, because it has the most objective science supporting it’s success. We have done ABA for years with Cheeks. It’s a slow process, but I agree that in the hands of someone skilled, it can bring positive change to some of the most difficult aspects of autism. I don’t know enough about this case to say with certainty, but it’s possible that this child was incorrectly diagnosed based on the speed with which his symptoms were mitigated. And I don’t want to minimize the effort this family made, I’m sure it was significant. But fundamental differences in a person’s neurology can’t usually be so quickly changed. Telling this story without adding that it’s such an exception to the norm does a disservice to the millions of families who struggle daily with helping their kids to achieve an independent adult life of their choosing. In fact, only a small minority of people diagnosed with autism ever reach the point where they no longer meet the diagnostic criteria, possibly around 7%. And within that group, it’s considered likely that at least some were misdiagnosed. Everyone loves a heartwarming story and I’m happy that this family achieved a good outcome for their child. But it’s not helpful to tell this story as if it’s what the future might hold for someone new to the diagnosis. In a future post I will tell the story of how and when we knew Cheeks was autistic, and what getting that diagnosis for Cheeks felt like to our family. I completely understand why I loved this article back then. Now, I wish I had been told more realistic stories about what parenting a child with autism would entail. I wouldn’t have liked them nearly as much at the time, but they would have given me valuable insight into facing what was ahead. Raising an autistic child is not like playing the lottery. I buy lottery tickets knowing that my chances of winning are slim, but I’m willing to spend a small amount of money in exchange for the fantasy I get to live while I wonder what it might be like to win. I don’t want to make decisions about my son’s future using fantasy as my criteria. What inspires me now is reading about other families who have worked for years, like we have and continue to do, to find their sweet spot between acceptance, adaptation, and achievement. Those are my heroes and they have the outcome I aspire to for Cheeks. I know many of these people and I see myself and Cheeks in them. Our story has been their story, with some changes to the specific details. I know for sure that we can have what they have. What could possibly be more hopeful, or more reassuring, than that? The calendar may say early November, but the holidays are around the corner—ready or not, here they come. At this time of year, those of us with kids in our lives find ourselves wondering what might make a good holiday gift. But a child with a communication disorder such as autism can’t always tell us. 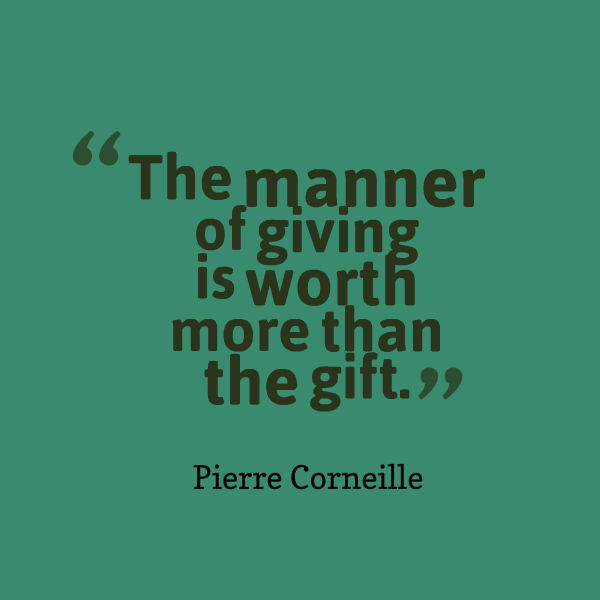 Or they may have trouble figuring out that even though we’re asking now, the gift doesn’t come until later. They might struggle to understand why they can’t expect to receive everything they asked for. In some cases, a child with autism may even ask for something that is impossible to deliver. For example, Cheeks once wanted his left thumb placed on the other side of his palm, next to his pinkie. Although I think that was just a Tuesday, not a holiday wish. And no, I still don’t know why. Having autism doesn’t make kids alike in any way I can predict, so this isn’t a gift guide. But there are definitely some recommendations I can make about the context of your choices. If the child you want to give a gift to a child that has focused interests (read: obsession), it might seem like the natural place to start. I urge caution. For example, Cheeks is currently very into superheroes, especially Batman. But three months ago, it was Scooby Doo. A few months before that, it was classic cartoons such as Tom & Jerry or Wile E. Coyote. Batman might not be in vogue anymore by December 25th; you might have heard there’s a little Star Wars moving coming out that could be a hit with him and a few other people. His interests are narrow, but deep, and they come in cycles. I can’t predict where we are in the cycle. If you want to choose a gift for any autistic child in your life, please don’t rely on surprises. Ask the parent to tell you outright what would be a good choice. NO clothes! I can’t stress this enough. Most kids don’t love opening up socks and underwear on Christmas morning anyway. 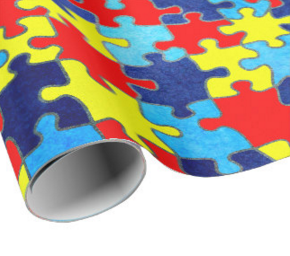 But the sensory challenges presented by autism mean that tags, textures, seams, colors, sizes, sleeve length, and even more are all at risk of being completely wrong. And don’t mean wrong as in, less preferred but still could be worn on laundry day when nothing else is clean. I mean it will be untouchable, not permitted even within potential eyesight of the child. I am not exaggerating. Better to avoid this category altogether. If you like to give educational gifts, then keep mind what I have said on this blog about presuming competence. However, there are areas of developmental ability in autistic kids that are not in sync with their age. I know Cheeks has all the cognitive ability of his ten-year old peer group, but he does not have a similar communication ability. He comes home with library books from school written for a child in kindergarten, because that’s what his reading level seems like when he expresses himself. And—brace yourself for this shocker—my 4th grader isn’t interested in kindergarten books. On the other hand, he might love a sensory toy that to an outsider looks like something designed for preschoolers, because the sensory experience is calming to him. The point is, you can’t follow age guidelines in the same way as you can with typically developing kids. Talk to someone who knows the child’s abilities. If you want the gift to be a surprise to the parent too (which I don’t recommend, but there may be good reasons), then seek out a teacher, therapist, or other caregiver who knows the child well. Lastly, and perhaps most importantly, please let go of the expectation that your gift will be greeted by a face lit up with holiday joy. I know it’s one of the best parts of gift giving, but emotional responses are difficult for autistic kids. It doesn’t mean they don’t feel the joy, it only means they don’t know how to express it. And if the gift misses the mark, you may hear about it in a way that would be considered rude coming from another child. Let it go, and let your real gift be compassion and understanding, and not what’s inside the box. One of the most common questions I get about Cheeks is “does he understand____?”, and the answer is that I don’t know for sure. In theory he can talk and explain for himself, but in practice, speech is so difficult for him that he has learned to not depend on being understood. Therefore he often remains quiet when people interact with him. But we live in a highly verbal world, especially within the education system. As such, the measurement tools that are used to identify learning are flawed. Of course, that happens with neurotypical kids, too. So… what does he understand? 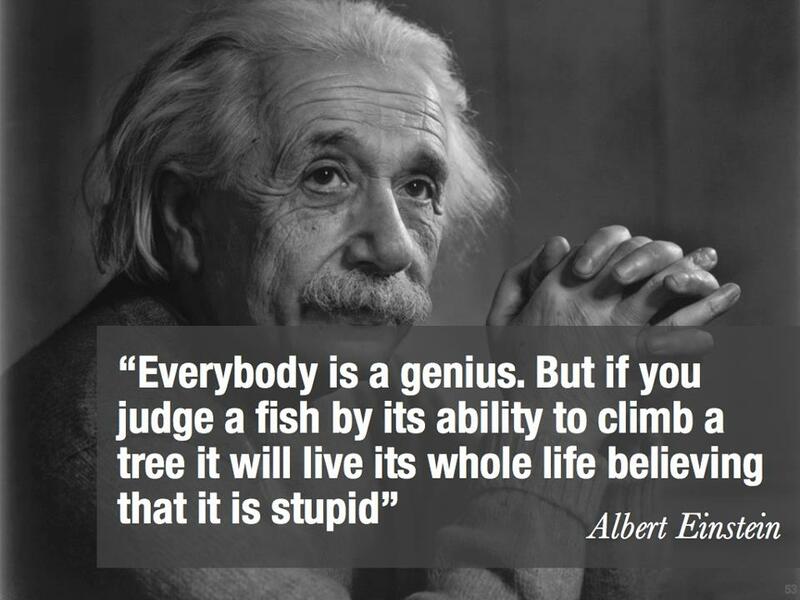 It’s likely that Einstein never said this. But the words are relevant anyway. Why couldn’t they pass the test? It was presented in their native language and they were given whatever accommodations they needed in order to complete it. Because it was created with a particular audience in mind, and they were not that target audience. The same is true of tests created for a verbally-based educational system when given to non-verbal or semi-verbal students. When Cheeks’ had his most recent intelligence testing done, he tested as having an IQ of around 70. That score is two standard deviations from the mean, which in layperson’s terms used to mean labels like moron, feeble-minded, or retarded. I am not making this up. The standard disclaimer language that I was presented when told of Cheeks’ score included the warning that his score was unlikely to change much in his lifetime. So that was fun. But I do not believe it. I know there is a whole world locked in there, waiting to be released. I believe in his abilities not just because I’m his mother, but because I see evidence of it every single day. Have you ever had that dream where you are calling to someone who should be able to hear you, but for whatever reason they can’t? I think that is likely the world Cheeks lives within. Every day, we are chasing down ways to allow him to be heard. Until then I will speak to him as the 9 year old he is, and presume until proven otherwise that he has the ability to understand. There is nothing wrong with his hearing, and I would be crushed to learn later in his life that he didn’t know why we were always talking down to him. I understand why people talk to Cheeks as if he is a much younger child. And I appreciate their desire to connect with him. But please, don’t interpret his lack of appropriate responses to mean a corresponding lack of understanding. Me and Cheeks. It’s entirely possible he gets them from me. Welcome! On these pages, I plan to document the process of learning, growing and living with autism. 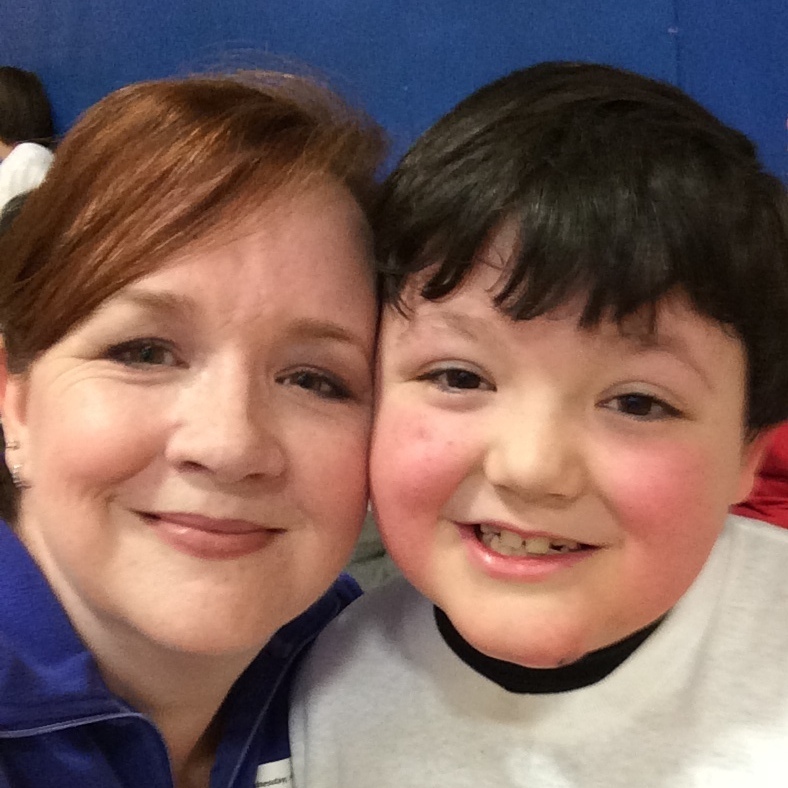 My son, whom I will be calling “Cheeks” (learn more about that here), is a healthy and happy 9 year old boy that also happens to have autism. I’ll be talking about the ways that makes our lives different, the challenges we face, and the many joys we experience. I hope that this site will be a source of information in addition to being a journal of his childhood. From time to time, I may also discuss Cheeks’ brother, dad, or other people in our lives. But I can’t speak for anyone but myself, and that includes Cheeks. We will be taking this journey together, to the degree that he is able and always with his permission. I hope you’ll join us for some of our steps.